New York, considered America’s cultural mecca and global financial hub, has won over the years the title of capital of the world. With many of the largest creative events taking place in the city, world-renowned landmarks and tons of references in music and pop culture, New York has arguably one of the strongest city brands. 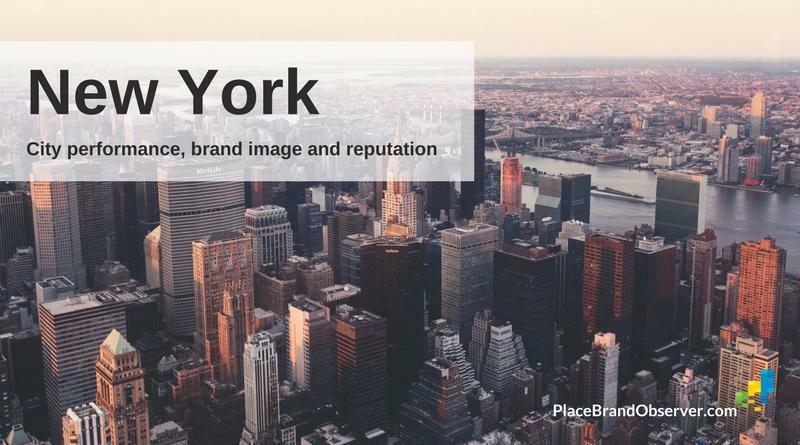 New York was one of the first cities to develop a formalized branding strategy, having benefited greatly from the “I love New York” campaign, developed by the state of New York in 1977 (the city of New York doesn't actually own the rights or use the slogan itself). But how is New York doing according to international rankings measuring reputation, sustainability and innovation? Ranked second after London in the Global Power City Index (2017), New York received the highest scores both in the Economy and R&D dimensions. The city managed to increase its scores for nominal GDP and GDP growth rate. It was also appointed as the first city for researchers in an Index that analyses cities’ appeal to five different global actors who lead urban activities: the manager, the artist, the visitor, the resident and the researcher. However, according to the Index, New York failed to maintain its score in Cultural Interaction indicators due to a decrease in the number of world-class cultural events, where it was outscored by London. It also ill-performed in Livability indicators due to a fall in variety of retail shops available in the city, ranking only 34th among 44 cities. When it comes to reputation, the city doesn’t perform so well. Despite being the fourth most familiar city worldwide after Paris, London and Rome, New York was ranked only 23rd among 56 cities in the City RepTrak (2017). The index considers government effectiveness, environment appeal and economic development and analyses the stakeholders’ engagement with cities.